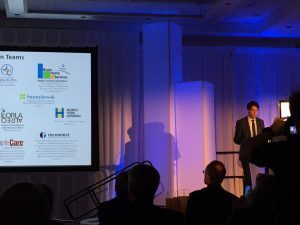 Ontario has committed to funding 15 innovative health technologies via grants from the new Health Technologies Fund (HTF). The grants support the development of software and mobile devices that focus on the delivery of better home and community care. 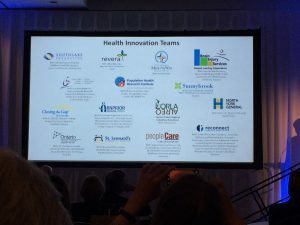 These projects will undergo assessment and evaluation over the next 18 to 24 months to facilitate their success for adoption and scalability in Ontario’s innovative health care system. A tablet-based speech assessment tool that detects and monitors cognitive impairment, reliably identifying Alzheimer’s’ disease, aphasia and Parkinson’s disease. In residential care, the tool can help determine when to transition to a higher level of care. This software eliminates the need for patient travel while helping pathologists do their job faster and more accurately. Pathcore’s technology takes glass slides and converts them into digital slides that can then be viewed, shared and analyzed anywhere using computer networks. Falls are responsible for 85 per cent of seniors’ injury-related hospitalizations. An expanded screening and focused identification strategy will be examined for the potential to reduce the incidence of falls and the associated ER visits, hospitalizations and costs to the system. Proactively identifying seniors at risk of falls across a community provides evidence to support intervention planning and targeted falls prevention programs. This innovative software measures a patient’s vital signs including blood pressure and oxygen saturation and automatically notifies a health care provider when readings change. The kit includes a custom Android tablet computer with a secure two-way video connection between patient and clinician. The equipment provides patients with remote access to rehab programs to better self-manage their condition at home.